Looking for a delicious and healthy dish to pair with some good football? 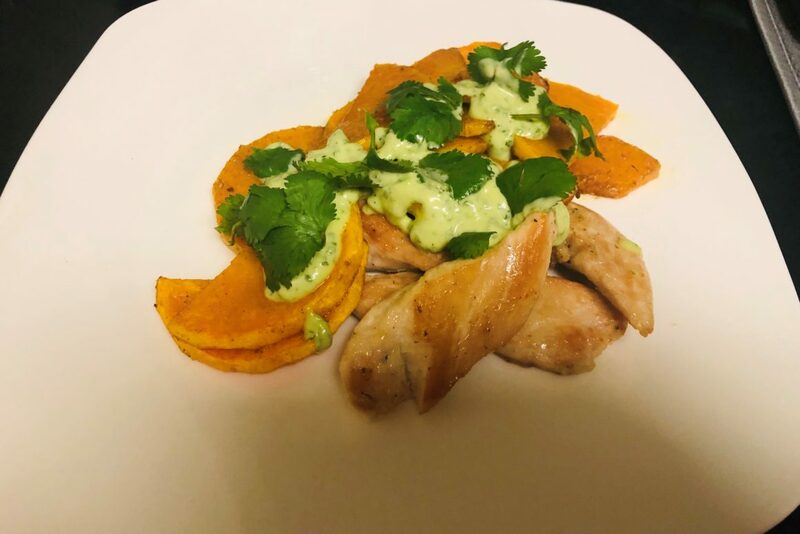 Spice things up with our chicken and butternut squash recipe, created by Attune Health’s very own clinical nutritionist and research associate Natalie Fortune. So no matter which team you’re rooting for, you’ll be winning with this dish. Peel and slice the butternut squash into thin half circles. In a large bowl, place the butternut squash and avocado oil, and toss to coat evenly. Add all of the spices and continue to toss. Spread the butternut squash onto a baking sheet. Note that you may have to use more than one if you do not want them to overlap. Bake for about 45 minutes until nicely brown. Slice the chicken breasts into evenly thick pieces. Pat the chicken dry and season with salt, pepper, and garlic powder. Heat the avocado oil over medium-high heat in a large skillet. Carefully add the chicken to the hot pan and cook for 5 minutes until the chicken is beginning to brown. Flip the chicken and cook until it reaches 165°F. Note: While the butternut squash and chicken are cooking, you can prepare the sauce. Place the clove of garlic into a food processor or blender. Pulse a few times to chop it up. Add the remaining ingredients and blend until smooth. Adjust seasoning as needed.